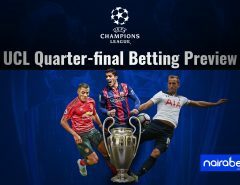 UCL: Which Four Teams Will Advance to the Semi-Finals? Of all the four quarter-final games played last week, none featured more than two goals. Evidently, all four games were keenly contested as a semi-final place is at stake. The first leg has come and has gone. All is left to play for in the return legs which takes place this week. 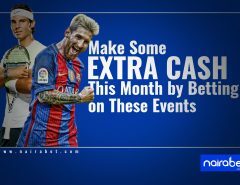 Manchester City, Barcelona, Juventus and FC Porto will be the home teams this time around. And they will be looking to replicate the trend from the first leg: No home team lost in the 1st leg of the quarter-final games. Let’s take a look at these games. Tottenham got the better of Pep Guardiola’s side in the 1st leg. Mauricio Pochettino’s men now take a huge advantage into the second leg. Their amazing home run continues: Not only have they remained undefeated in their new stadium, they’re yet to concede a goal in front of their home fans. 18 of the last 20 meetings between both sides (which had Man. City as the home side) has produced a winner. Which side will win this game? It will be a different story when they visit the Etihad Stadium. Eight of their last 10 away games against Man. City has ended in defeats for Spurs. Juventus’ away goal was the slim difference between both sides last week. After their loss to SPAL, it was evident that Juventus place huge importance on the Champions League. Their last UCL home game saw them come back from a deficit against Atletico Madrid, scoring three unreplied goals. Will both sides score in this fixture? As for Ajax, their last away game in the UCL was a master-class that knocked Real Madrid out of the competition. Messi and co. helped Barca to finally win a game inside the Theatre of Dreams. They take a one-goal advantage back home where they will welcome the Red Devils. They are formidable at home, losing just two games since the football season started. The first leg of this clash ended with just a lone goal. How many goals do you think will be scored in this game? 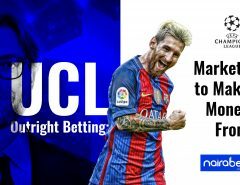 Click here to make your predictions and win. Since Ole Gunnar Solskjaer was given a contract as Manchester United manager, the form has dipped. To advance in this competition, they have to not only shore up their defense, they have to get the goals too! The Reds again showed just how they have made Anfield a fortress. After a comfortable win over Porto, they now travel to Portugal to take on FC Porto on home turf. The last time Liverpool played Porto in Portugal, they scored five goals — five unreplied goals. They’re overwhelming favorites going into this game. Will it be a straightforward game for them or will football again prove us wrong and produce a surprise winner? 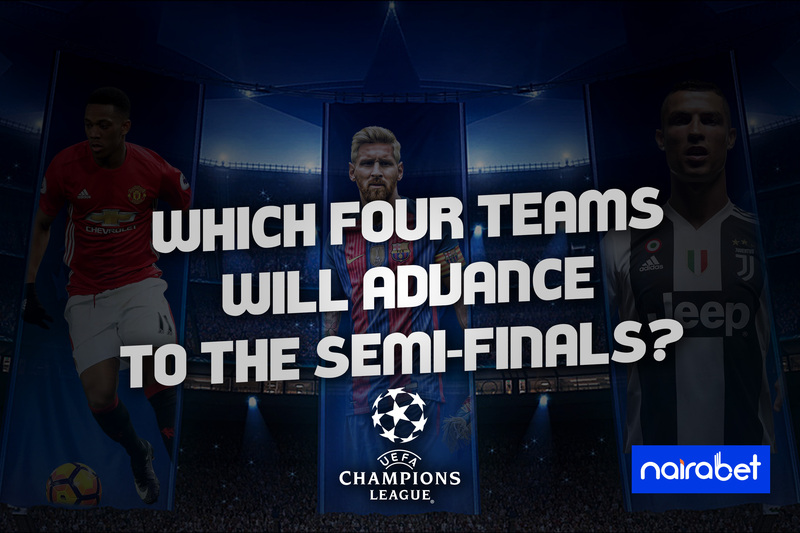 Finally, which of these four sides do you see in the semi-finals already?